This is one of those feel good projects! LifeCycles Financial Education Modules were developed for financial institutions to use to educate and instruct their members on key financial health subjects. 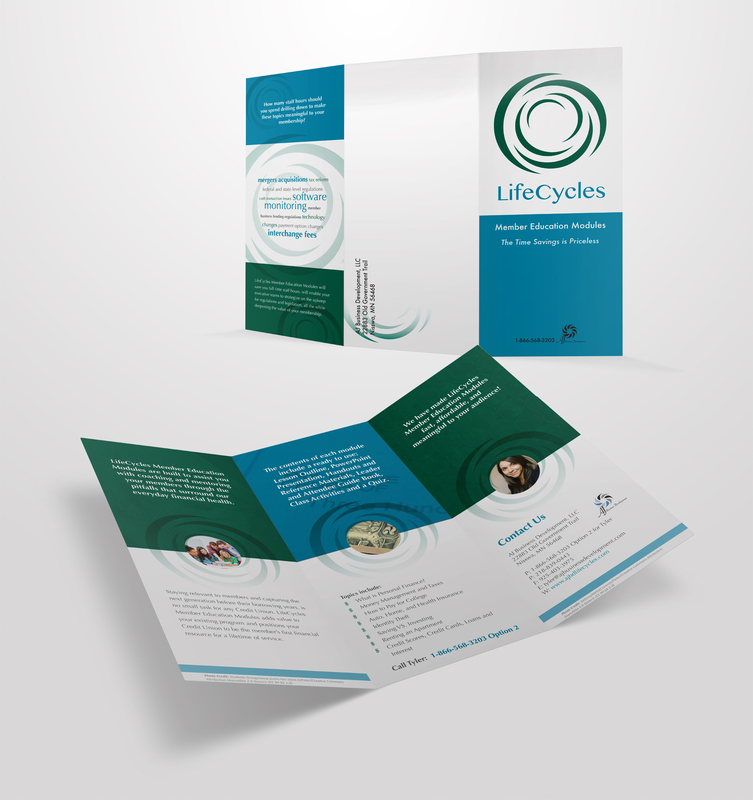 All members can benefit from the knowledge provided by the LifeCycles curriculum, but it’s especially important to educate young members just beginning their financial lives of the importance of everyday financial health. This particular brochure is targeted to Credit Unions. Client provided logo design and overall design was created to complement existing event banner and other business collateral already used by the client. Graphic Design and Layout by Karen Roth.